Then this is the gift for her! 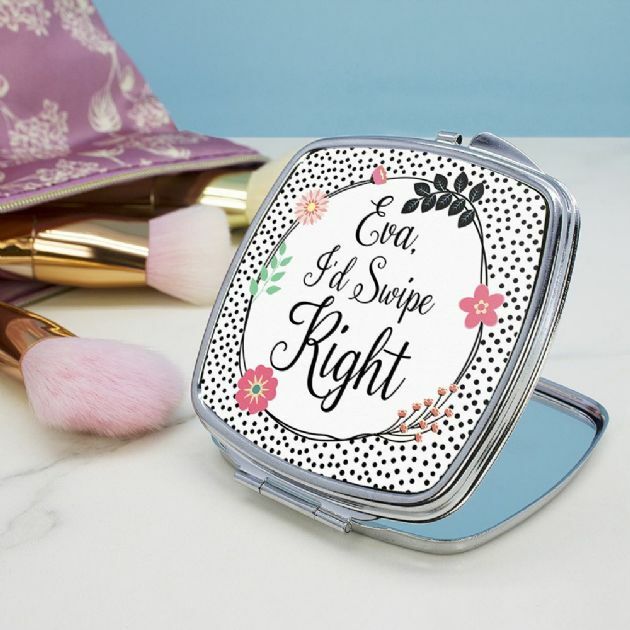 This funny little compact mirror will keep her laughing. With the words 'I'd swipe right' as standard text,simply add her name to the personalisation field.